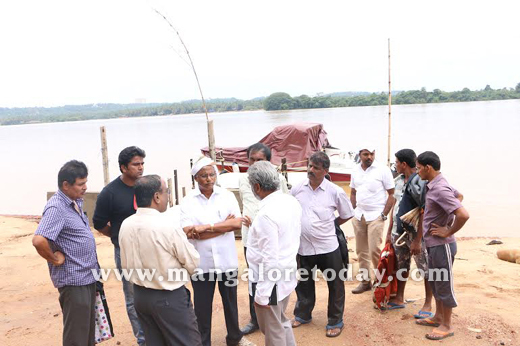 Mangaluru, June 16, 2015: MLA JR Lobo inspected the proposed bypass road between Nethravathi Bridge to Adyar –Kannur on Monday. Speaking to the officials, MLA J R Lobo said, the new bypass road will reduce the density of traffic coming to the city. The project will see major expansion of Infrastructure, railway connectivity. It will help the vehicles travelling to Bengaluru from Kerala to travel without connecting the city. It will also provide connectivity to two National Highways namely NH 66 and 75. The bypass road will help to enhance tourism as the road is 8 KM long and 30 mtr wide. In addition to that he also said that he will request tourism department to release fund with estimated cost of 20 crores for this project. Corporate Praveenchandra Alva, PWD officer Dharmaraj, T.K. Sudhir, Katrin Kumar, Herbert Dsouza were present.